Stainless steel "candy cane" and mounting rod. 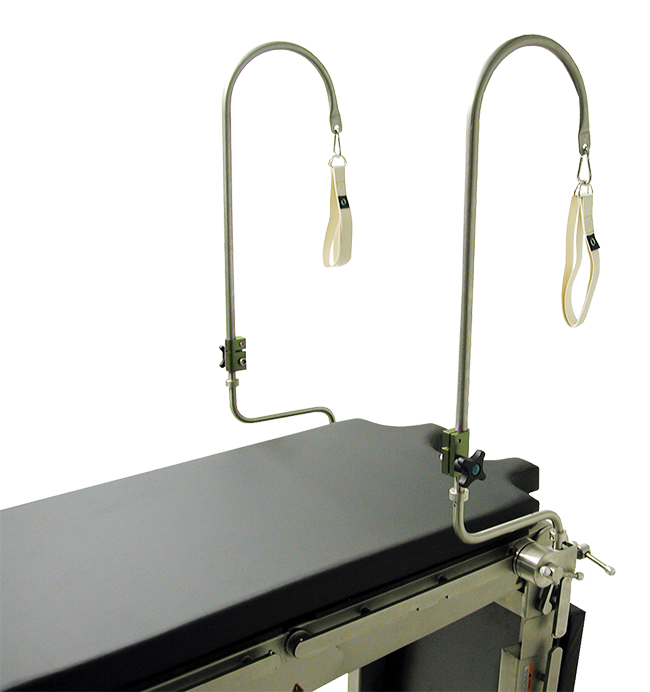 Superior flexibility for lithotomy positioning. Fits all surgical tables. Adjustable height of 26"-39". Support extension "cane" is 10" wide. 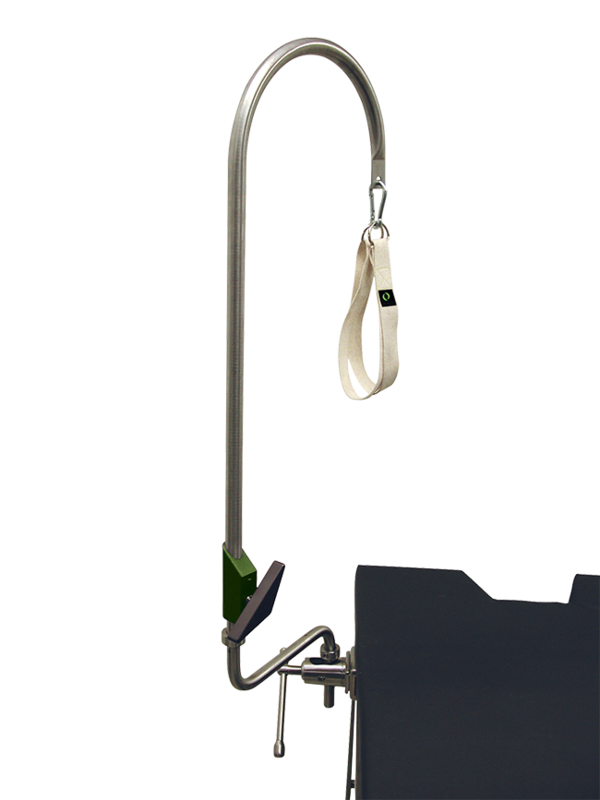 Super Clamps or Clark sockets recommended for mounting leg holders to surgical table (sold separately).